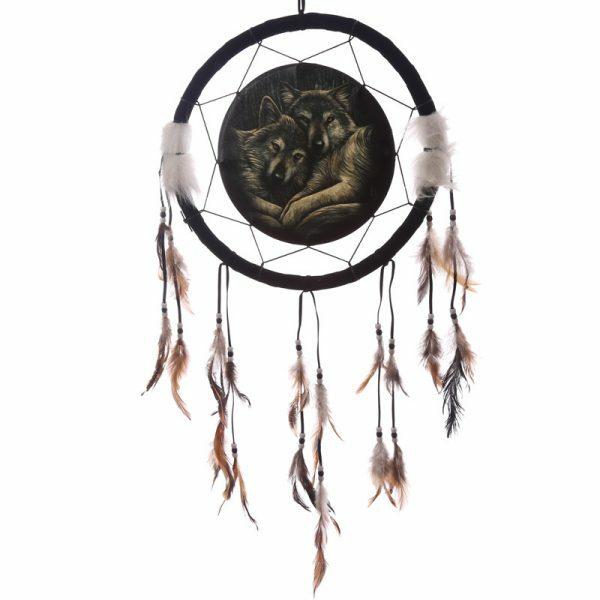 This beautiful and very unique dream catcher, with Lisa Parker very popular fantasy image, Bewitched on the outside. Perfect for any collector, and a simply gorgeous gift idea. 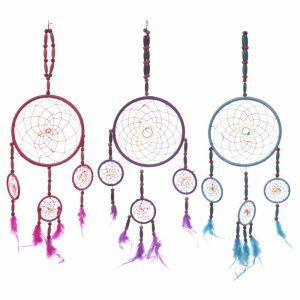 Hang your dream catcher at the end of or near your bed while you sleep. The dream catcher will trap you bad dreams until they expire under the sun rays of the dawn. 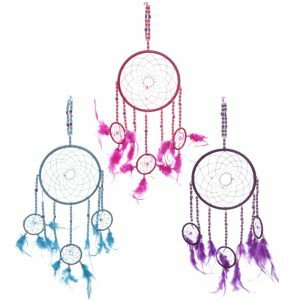 Your good dreams will pass through the dream catcher and slide down the soft feathers gently into your mind as you sleep below. 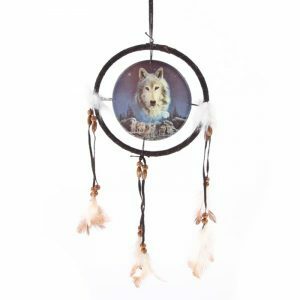 The hoop of the dream catcher symbolises strength and unity. Guardian of the Wolf" by artist Lisa Parker, features a midnight scene where the wolf is under the full moon. 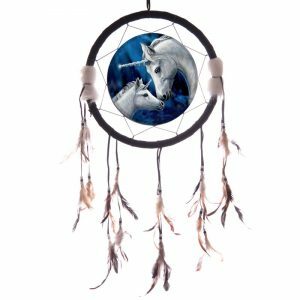 Small Decorative Dreamcatchers, Lisa Parker Wolves/Unicorn/Owl.